Now six years following the legalization of cannabis in Maryland, the “Old Line State” finally completed its first full year of sales. Over 300 Marylanders apply to be a medical cannabis patient on a daily basis, according to the program lead, Joy Strand. “Every Monday, we come in to 1,000 new applications,” said Strand, who is the executive director of the Maryland Medical Cannabis Commission (MMCC). “People have really started to take notice of the cannabis program in Maryland,” she added. 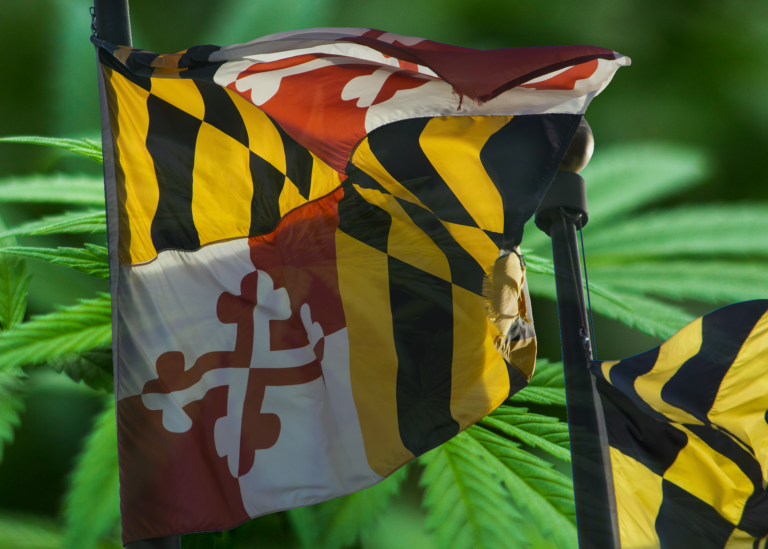 Albeit a turbulent rollercoaster of affairs in the run-up to Maryland’s cannabis industry launch in late 2017, the industry is picking up some serious speed. According to Statista, the market will yield $494 million by 2025. Maryland is leading by example with the rapid progression and evolution of its cannabis industry. Last December, the Medical Cannabis Commission (MCC) employed 17 people. Now, Strand says that the commission has 37 employees with plans to hire more. Within the span of 12 months, demand for Maryland’s medical cannabis patient pool has almost quadrupled. Statistics claim that the number of registered patients for the state’s medical cannabis is program has surged from less than 20,000 at the beginning of 2018 to 75,000 at the end of November. An increasing acceptance of medical cannabis is a positive repercussion of legalization, which is strengthening the U.S. economy as a whole. In Maryland, cannabis sales generated $96.3 million among cannabis retailers, collectively. That figure constituted over 10,800 pounds of flower and 729,309 cannabis-infused products, all of which were sold statewide. It is a figure that has ballooned from the $35 million in collective sales accrued during the first six months of cannabis retailing in Maryland. This suggests that the market has attracted more than double the sales pace since the state’s early days of legal weed. The head of the Maryland Medical Cannabis Commission (MMCC), Joy Strand, has expressed her pride in the progress of Maryland’s cannabis industry since she assumed the role of executive director in late 2018. Everything related to Maryland’s cannabis industry is overseen by the MMCC. The commission acts as the regulatory body that provides oversight for the state’s medical cannabis businesses. Research and planning into the integration of an edibles program. Every opportunity that arises in the legal cannabis industry, Maryland absorbs like a sponge. Based on the most up-to-date data released by the MMCC, the state currently has 14 cultivators, 14 processors and five testing labs. Judging on its initial year of sales – which exceeded two million transactions averaging $47.08 per transaction – Maryland’s cannabis industry looks set to skyrocket into the lush green realms of legal weed, which is forecast to harvest $146.4 billion on a global scale by 2025. Bethan Rose is a cannabis advocate, writer, and traveler with no permanent address. Currently based in South Brazil, she can usually be found curating cannabis content on her hammock. Are Medical and Recreational Marijuana Programs Different? What’s the Deal with Marijuana Stocks?